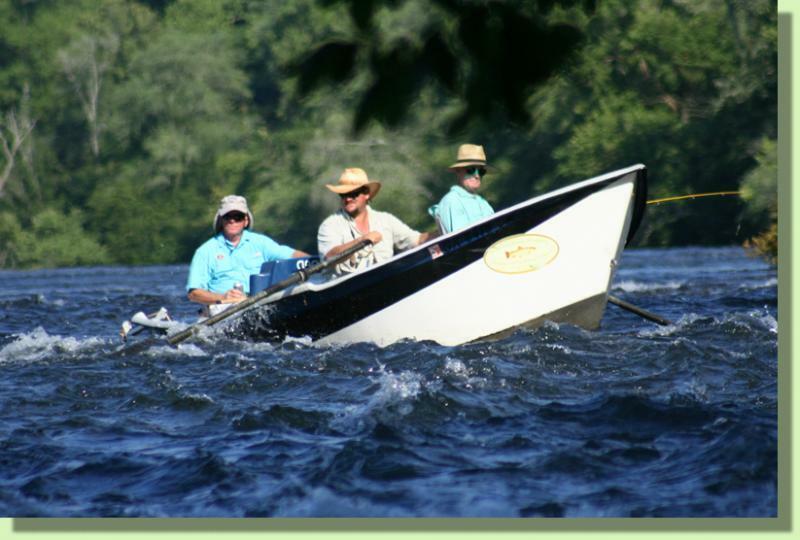 Rocky Top Anglers - Our Guides Hiring a fly fishing guide is the most important choice you'll make when planning your next fly fishing adventure. The right guide knows his waters, his fish, and how to make your day the best it can be. Our fly fishing guides approach our work with friendly, professional attitudes and an eagerness to please our guest. We build a special relationship with our clients, that often last many years, and over many miles of water. We look forward to building that relationship with you. We only employ veteran guides, with years of experience in making special memories. Hiring a fly fishing guide is the most important choice you'll make when planning your next fly fishing adventure. The right guide knows his waters, his fish, and how to make your day the best it can be. 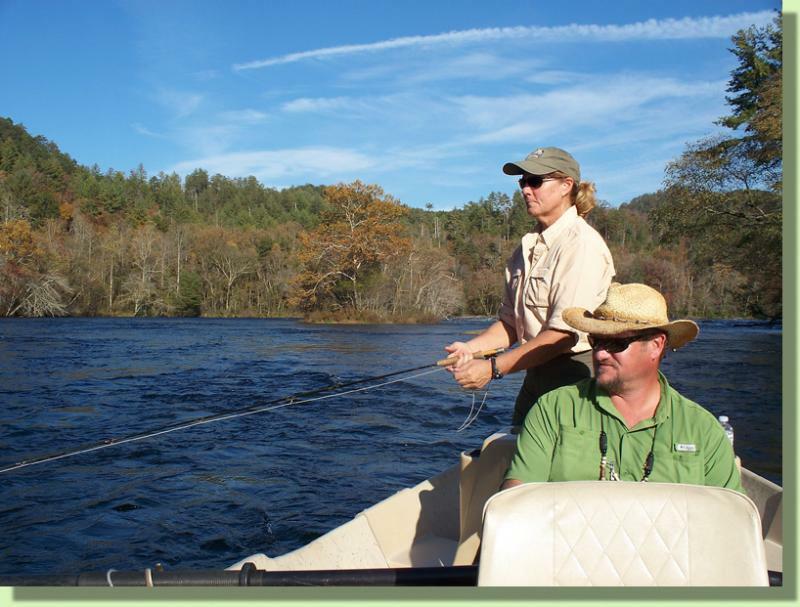 Our fly fishing guides approach our work with friendly, professional attitudes and an eagerness to please our guest. We build a special relationship with our clients, that often last many years, and over many miles of water. We look forward to building that relationship with you. We only employ veteran guides, with years of experience in making special memories. 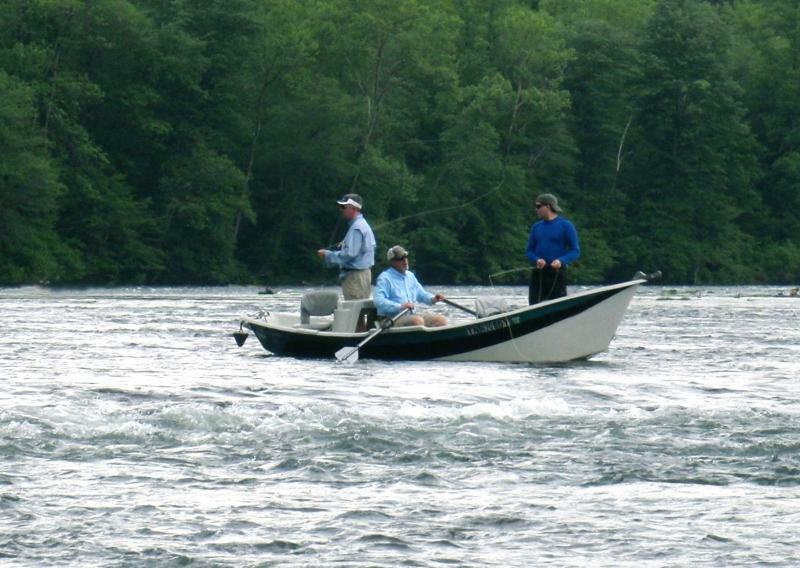 Hiring a Tennessee fly fishing guide is the most important choice you'll make when planning your next fly fishing adventure. The right guide knows his waters, his fish, and how to make your day the best it can be. Our Knoxvillefly fishing guides approach our work with friendly, professional attitudes and an eagerness to please our guest. We build a special relationship with our clients, that often last many years, and over many miles of water. We look forward to building that relationship with you. We only employ veteran guides, with years of experience in making special memories. ﻿ I was born and raised near Knoxville Tennessee. This allowed me to grow up with wonderful places to play right in my own back yard. Countless miles of mountain streams and large, cold tailwaters provided endless playgrounds. I never realized how much those years of playing in the water would influence my adult life. I've always loved the peaceful excitement of fly fishing and always found myself thinking about that next big trip to the mountains. When my leisure time came, I was fly fishing. I was always captivated by the guides I saw, rowing their anglers down river and finding those special places only accessible by drift boat. I knew that guiding others and showing them the places I treasure would be a very rewarding career. 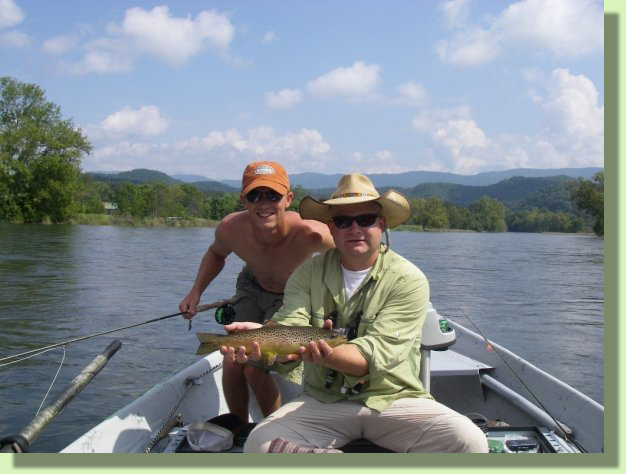 I've been in the business of guiding fly anglers to east Tennessee's finest fly fishing destinations since 1999. I strive to please my clients and work very hard to make sure every day out on the water is a very special day. Being a professional fly fishing guide isn't always easy, but it is always rewarding and I'm truly blessed in doing what I love. 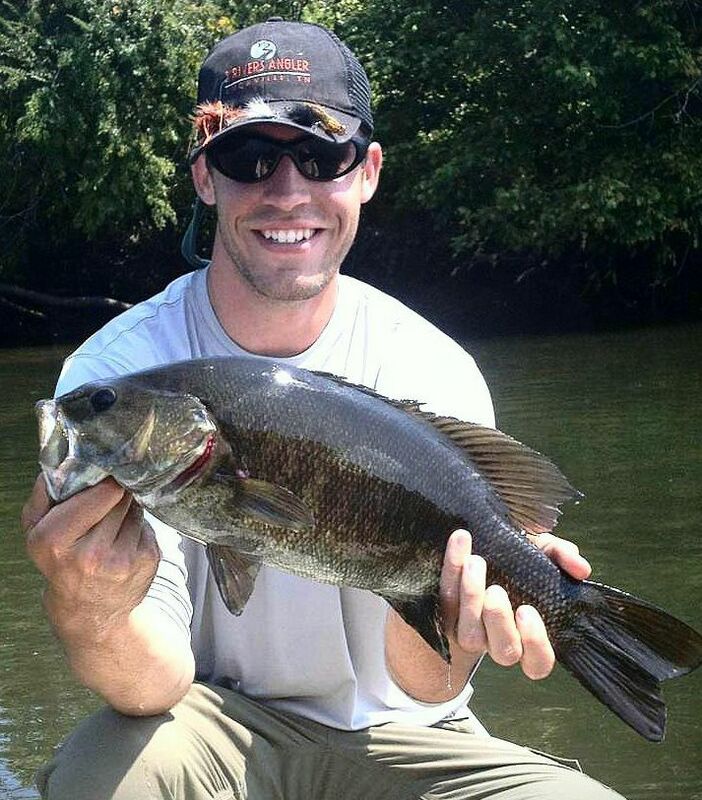 A native of Oregon, Skip fished a lot growing up and developed a deep love for fishing, any kind of fishing. He carried that passion along with him wherever life took him. Fly fishing for trout became his favorite pastime while he lived in Pennsylvania. Skip also spent many years living in Florida, where he took fly fishing to the next level. Snook were one of his his favorite fish to target in the saltwater. Skip has truely fished all over the country. 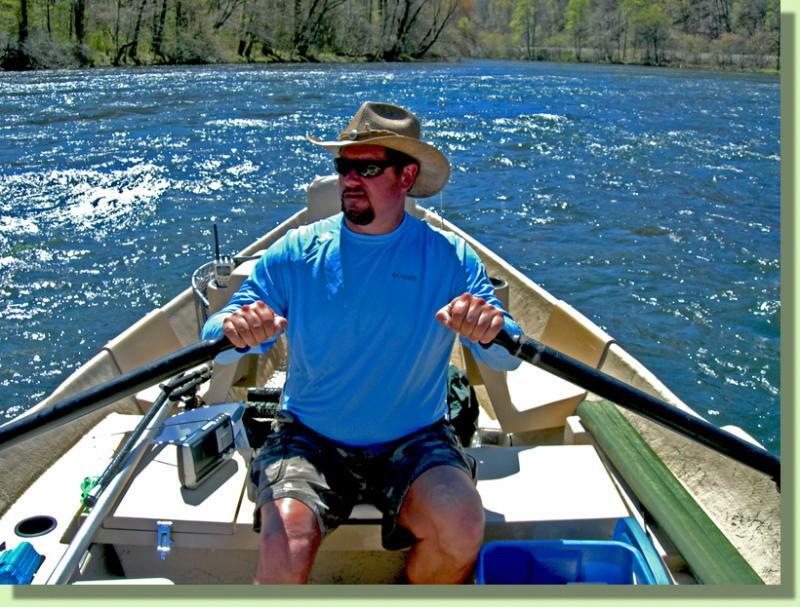 It was in 2005 that Skip moved to Tennessee and fell in love with the endless lakes, rivers and streams. I met Skip soon after his arrival and knew instantly he was meant to be a guide. I've been working along side him ever since. 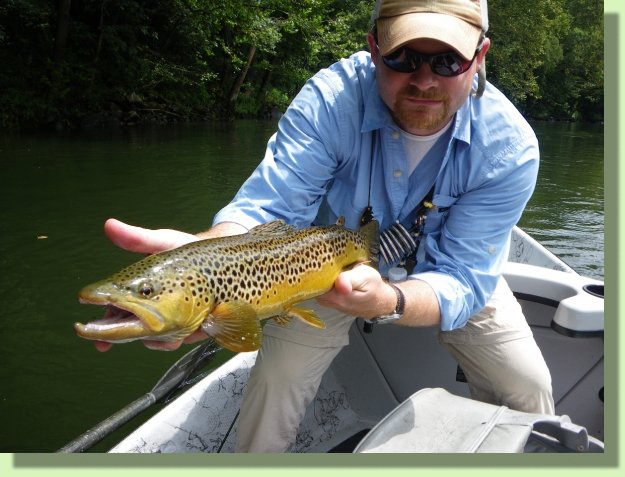 He now guides anglers to many destinations in east Tennessee including our trophy trout tailwaters as well as our quality warm water rivers and lakes. He enjoys spending his free time in the outdoors, fishing or hunting with his wife Sue and their beloved dogs. 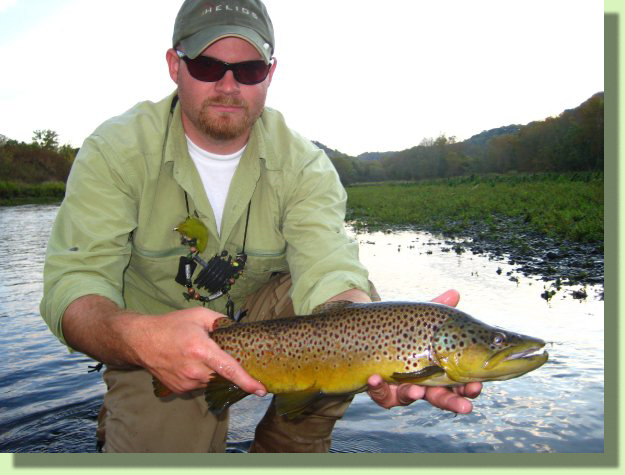 Originally from East Tennessee, Doug taught himself to fly fish in ﻿the cold streams of the Great Smoky Mountains for stream born Brook, Rainbow, and Brown Trout. 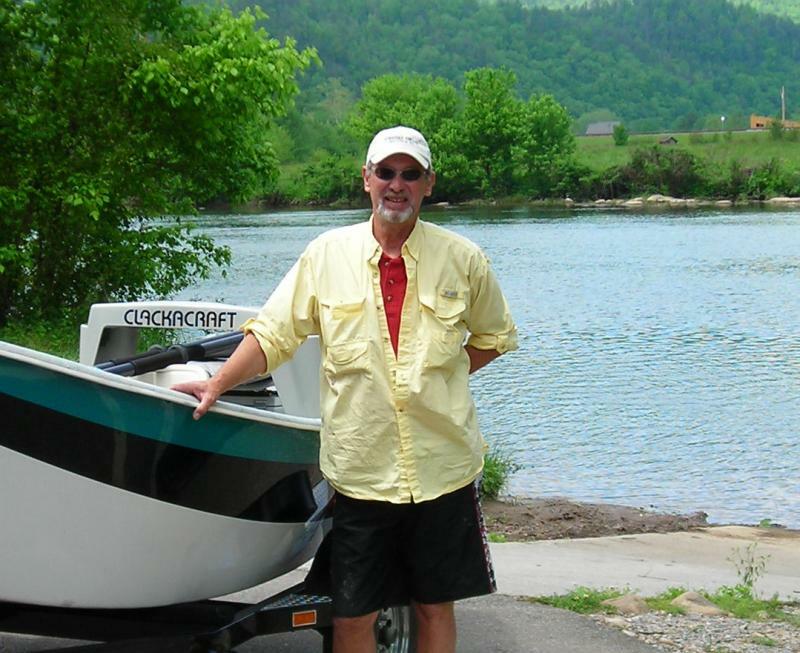 During his college days he cut his teeth as a guide on the wild trout waters above the Tellico River. After graduation, he set out to fulfill a life long dream to hike the Appalachian Trail. Following his hike, he continued to expand his fly fishing knowledge and expertise working and fishing in the western U.S.
Doug is an avid fly fishermen when he's not behind the oars. To date, he has fly fished in Tennessee, North Carolina, Georgia, Virginia, Kentucky, Arkansas, Colorado, Montana, New Mexico, Idaho, Wyoming as well as Florida and Connecticut. 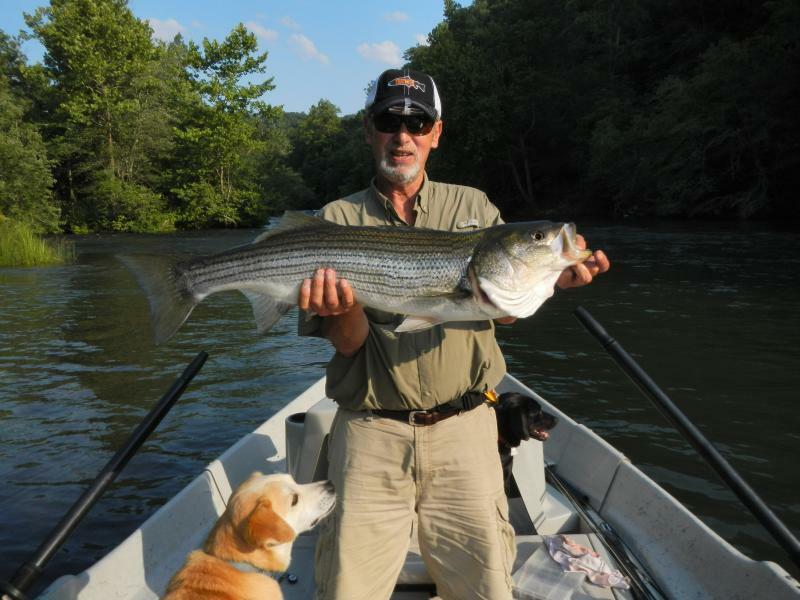 He currently calls Knoxville home with his life-long fishing partner and bride Ari and two boat dogs Beau and Bailey. Works well with new anglers of all ages. Broad angling knowledge from fresh to salt water. Friendly attitude and a patient disposition. 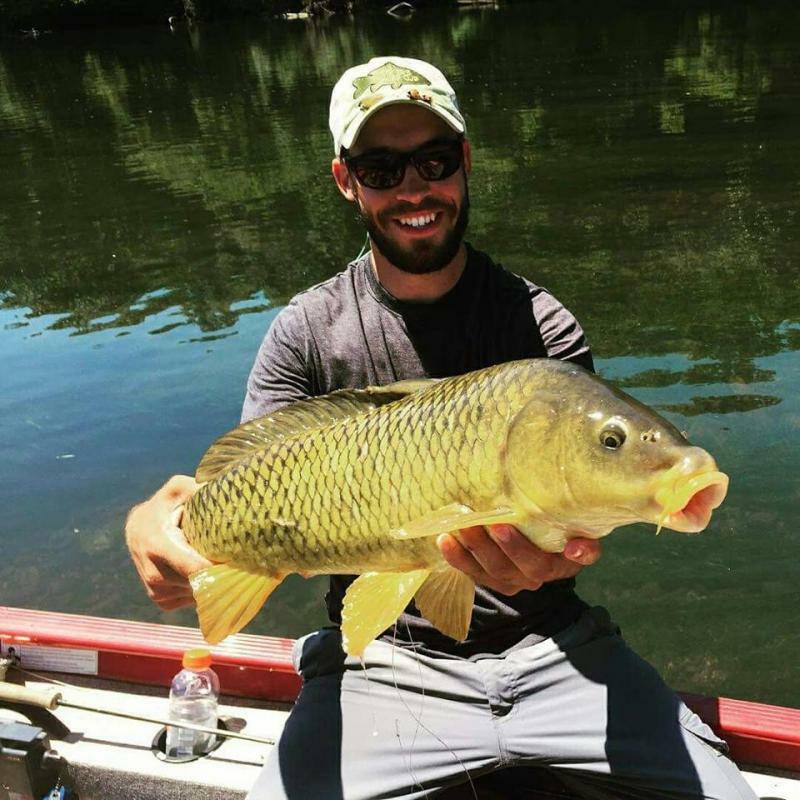 Local experience on warmwater and coldwater. 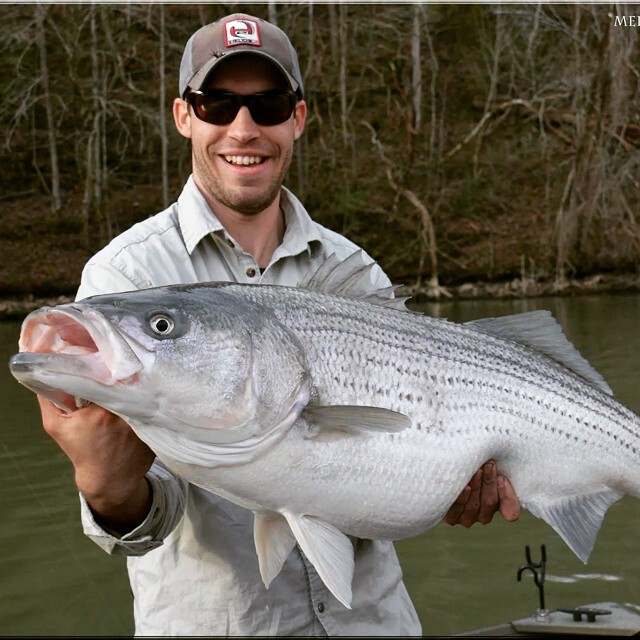 Loves to share all of Tennessee's great fisheries. A knack for finding "grip n grins". Patient guide who works well with all anglers. Extensive knowledge of local entomology and trout habitat. Approaches every guided trip as a unique teaching oppurtunity.